Kick Axe, the Regina band which specializes in heavy metal stuff, will be recording a second album in Los Angeles in July. 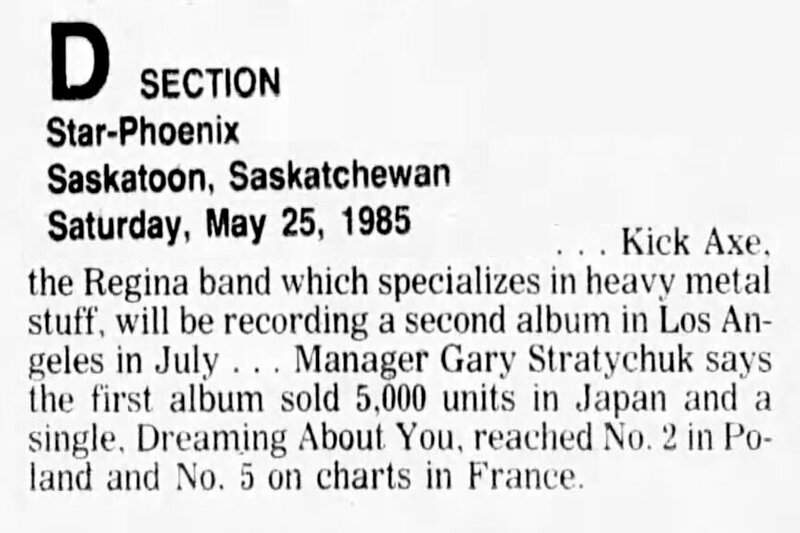 Manager Gary Stratychuk says the first album sold 5,000 units in Japan and a single, Dreaming About You, reached No. 2 in Poland and No. 5 on charts in France.